Luxurious, Gourmet and Invigorating Experience! Barcelona is a beautiful city, there is no doubt about it. Many prefer staying in the city center, when they are visiting Barcelona for a few days, but each district has its own charm. Last week I had the opportunity to visit the Abac Hotel for a presentation. We were in the Lounge and Heaven SkinCare did a presentation. Heaven by Deborah Mitchell is a british brand developed by Deborah Mitchell and offers a full range of organic products for the skin and body. With over 25 years of experience, Deborah has a unique approach to the skin.Highly acclaimed Deborah has worked with many celebrities as well as the royal family of England. 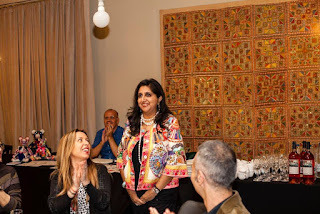 I had the pleasure to meet her; she is joyful, professional and fun to be with. Their best sellers are made with Bee Venom and Deborah's secret patented youth giver. It is a needle free shortcut to youth. 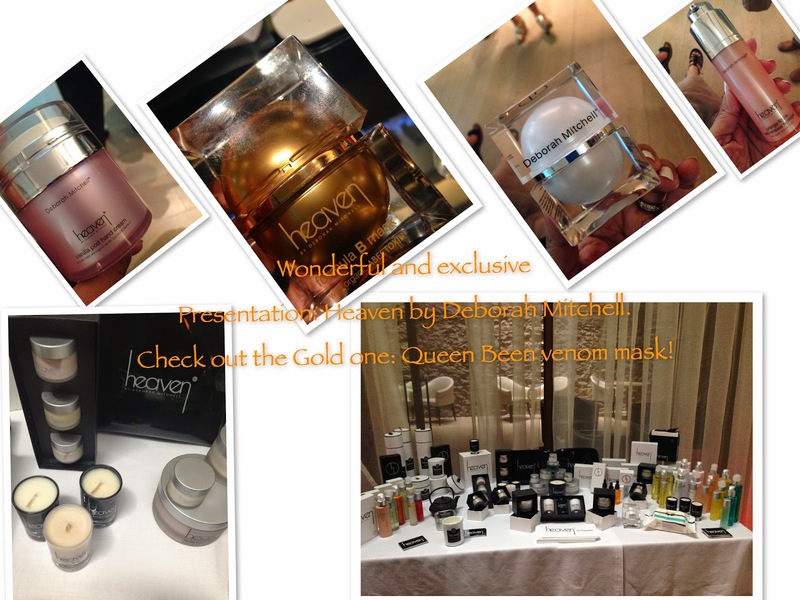 Check out the Queen Bee golden product, an extremely exclusive product! Jordi Cruz, the young and good looking chef, of the 2 michelin star Abac Restaurant was there too. He got his 1st Michelin Star at the age of 24, he then got another star for the restaurant Angle already mentioned on this blog. In 2010 he took the lead of the Abac restaurant and got 2 Michelin stars in 2 years. Abac has a creative cuisine and perfect for a special occasion: a playful and gourmet experience. It is located in the Abac Hotel. In the district of Sant Gervasi, in the emblematic avenida Tibidabo, this hotel belongs to SLH, small luxury hotels of the world. It is a jewel in the city, an intimate hotel with only 15 rooms. It has the FGC station 100 meters away, which can take you directly to Plaça Catalunya. You are away from the buzz and rush, in a little oasis. With Jordi Cruz and Deborah Mitchell. The cozy and intimate spa: great for a romantic date! 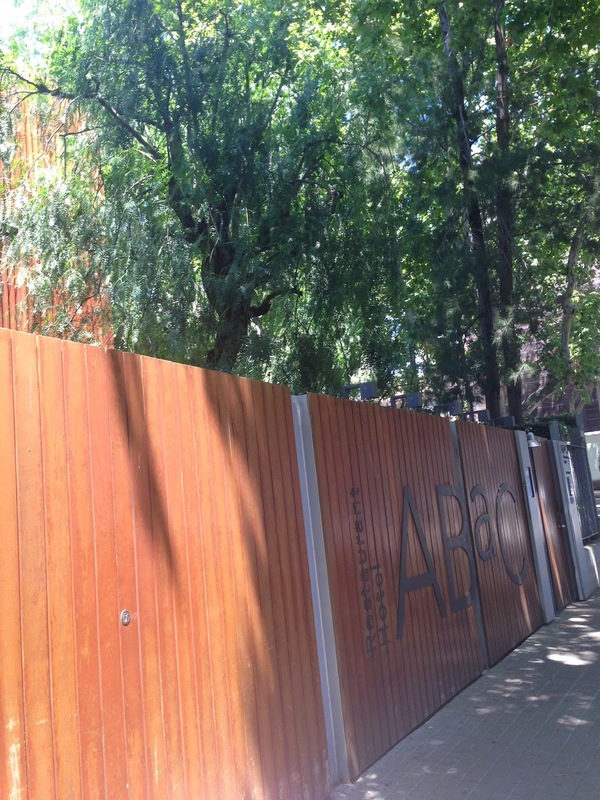 The historical building of Abac was in the past the property of Dr Andreu (Juanola tablets) and was also house to the US Embassy the only time Barcelona had an embassy during the 2nd world war. The buzzing kitchen of this renowned michelin star restaurant! They also have a private hall,! Labels: Events, Hotels in Barcelona!